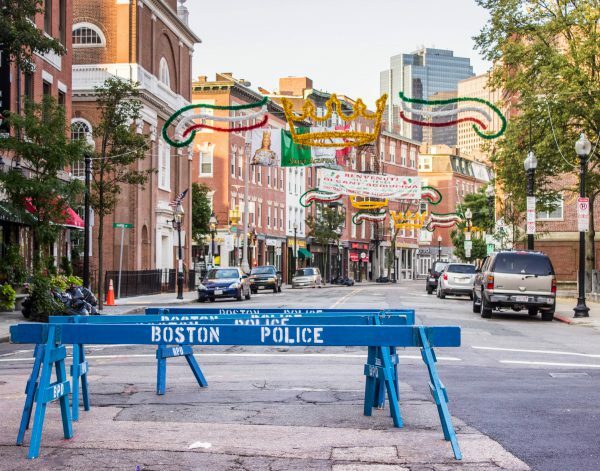 Police barricades blocking a street in the North End for the celebration of the Feast Day of St Agrippina de Mineo. This entry was posted in Uncategorized on September 30, 2018 by milfordstreet. Last Sunday as I made my way to an early morning photo shoot, I saw blue police lights flashing in the dark. The square that I typically pass through was blocked off to vehicular traffic. Police and construction workers were all over the place. Finally, I saw a man with a tripod and video camera; one of my kind. “You don’t want to. It’s full-on protective gear. Hard hat, goggles, and ear protection. When that helicopter comes in, a lot of things will start flying around? My planned shoot was nearby, so I went and made the images I wanted. A little after 7:00, I heard the helicopter come in. I made these images from just outside the area the police closed off. You can see video of it lowering an HVAC unit here. This entry was posted in Uncategorized on September 29, 2018 by milfordstreet. Hub on Wheels is a huge group ride held each fall as a fundraiser for Boston Children’s Hospital. This was an interesting shoot. 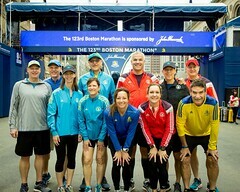 I saw the event was happening and would pass under a parking garage built over the roadway near the start of the race. I planned to take photos from one of the parking decks. As I was scouting out the best level in the parking garage from which to shoot, I ran into a team of professional photographers doing the same thing. They were hired by the sponsor of the ride to take photos. We ended up sharing ideas on the best location. They were busy, as they had to set up other shots, but they were cordial. It was interesting to watch them work in concert to come up with a single good idea for getting the shot from the garage. It made for a more interesting shoot. This entry was posted in Uncategorized on September 23, 2018 by milfordstreet. 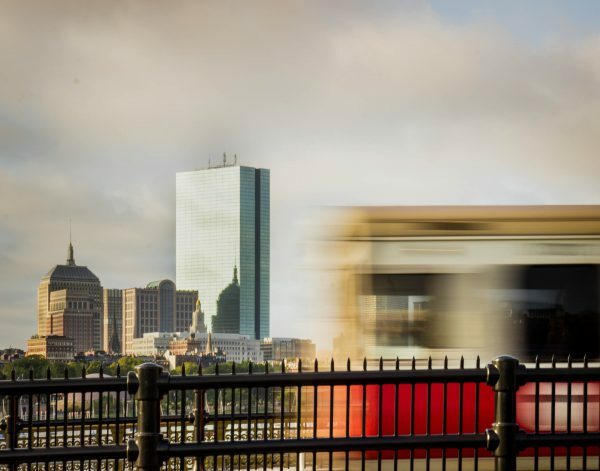 A Red Line train speeds across the Longfellow Bridge with the Hancock Tower in the background. P.S. “Hancock Tower is the old name for the building. 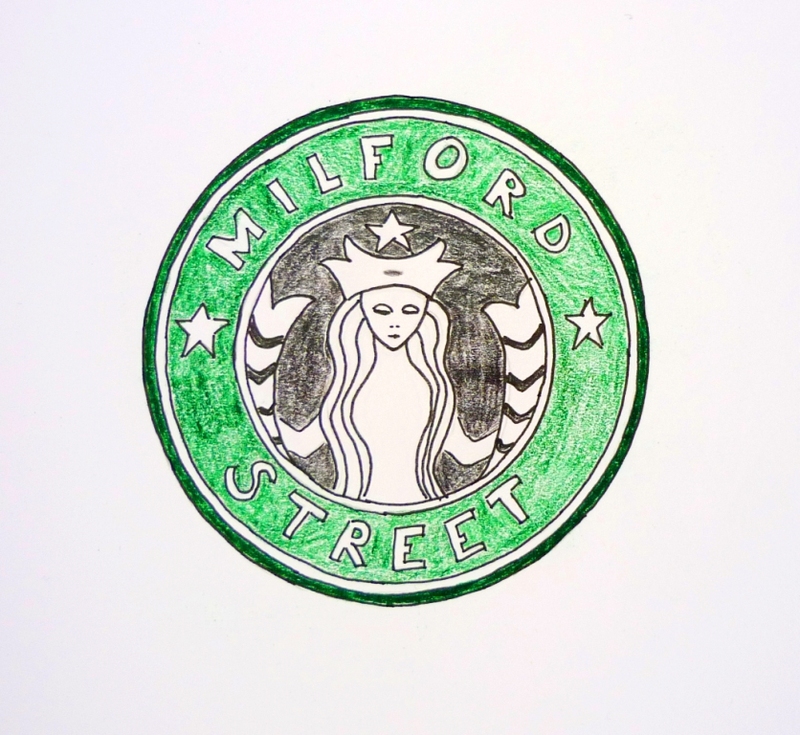 It’s now known as 200 Clarendon Street. This entry was posted in Uncategorized on September 22, 2018 by milfordstreet. Last month, we went on The Newport Neighborhood Food Tour with Rhode Island Red Food Tours. There were a total of six stops at very different restaurants. We ate homemade hotdogs with slaw, calamari, Irish bread, ribs, sorbet, deviled eggs, and a few other delicious treats. Our guide gave us a bit of history of the city and brought us to neighborhoods I’d not seen before but would gladly go back to. It goes to show you that it’s worth getting a few blocks away from the touristy places on the water and see the real city. Cheers! This entry was posted in Uncategorized on September 16, 2018 by milfordstreet. 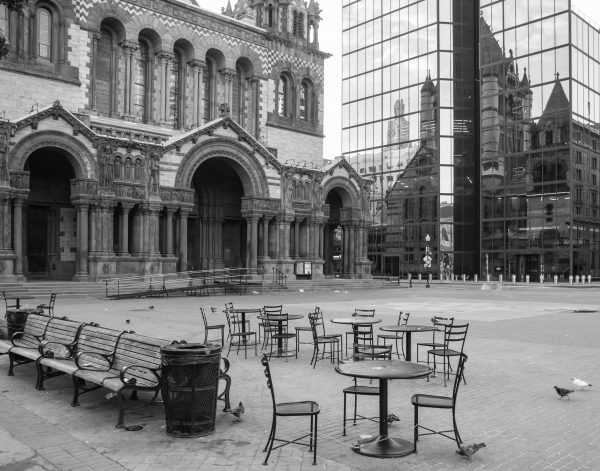 The usually bustling Copley Square at 6:00 AM on a Saturday morning. This entry was posted in Uncategorized on September 15, 2018 by milfordstreet. This was the eighth year that Newburyport has had a lantern festival in observance of National Ovarian Cancer Month. People purchase a lantern for a small fee and decorate it as they see fit. Most were decorated in memory of someone who passed away due to ovarian cancer. At dusk, they are lit and set adrift in a small pond in the town center. This entry was posted in Uncategorized on September 14, 2018 by milfordstreet.